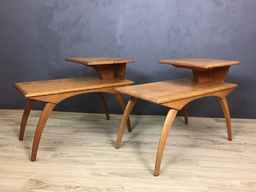 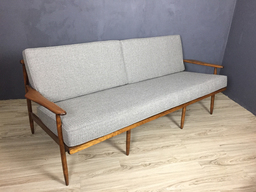 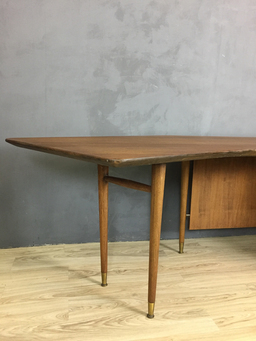 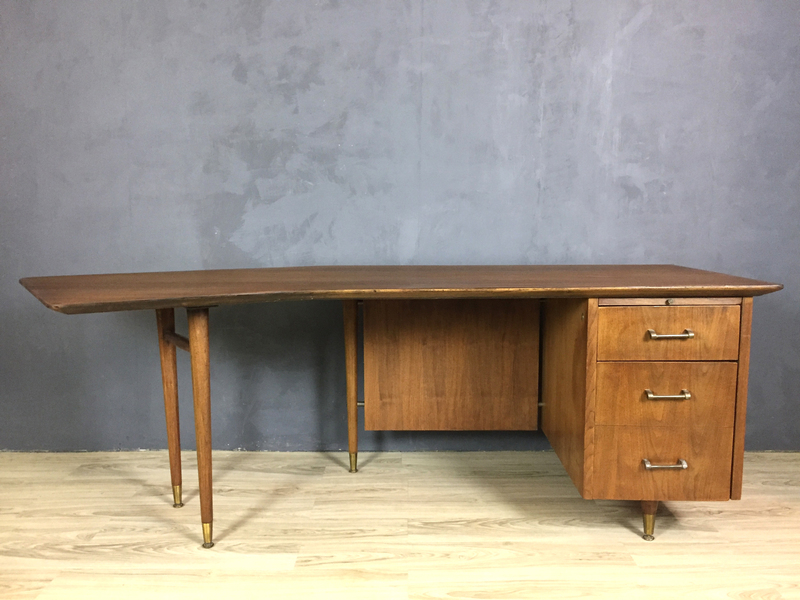 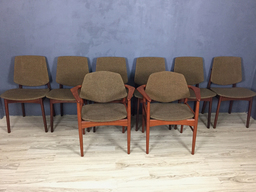 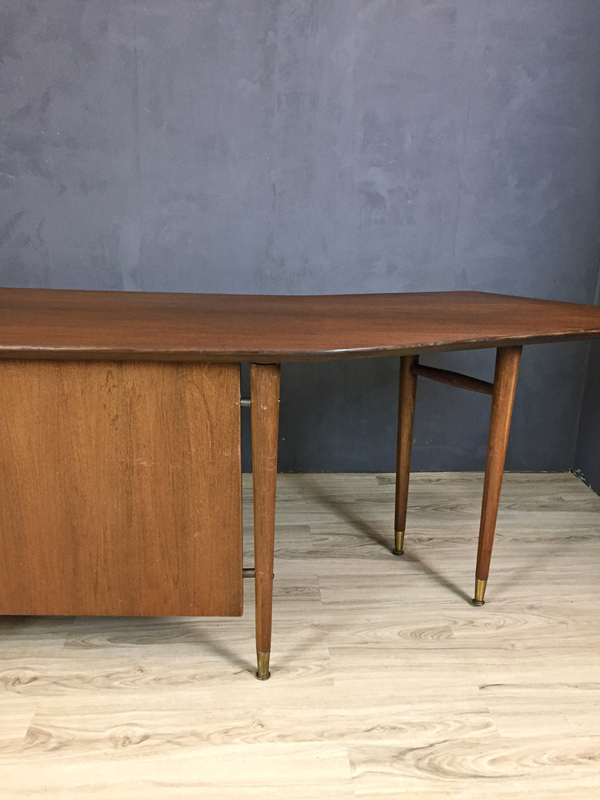 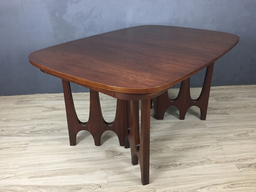 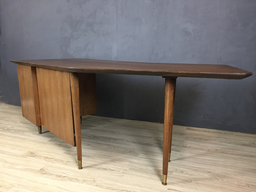 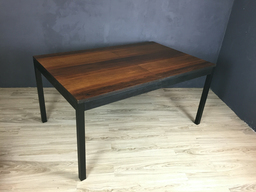 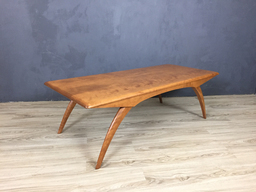 Spectacular large boomerang shaped walnut desk manufactured in 1956 (stamped). 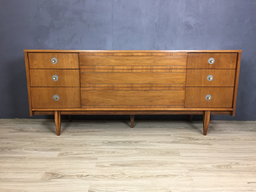 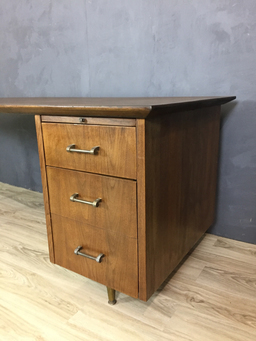 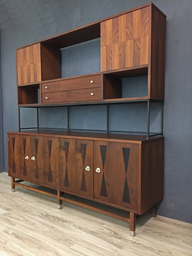 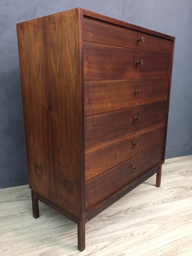 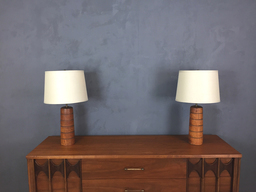 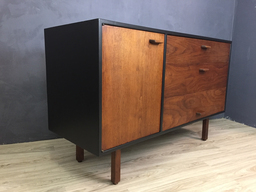 This is a real beauty featuring a pill-out shelf and two drawers including a file drawer, a finished back and original solid brass hardware. 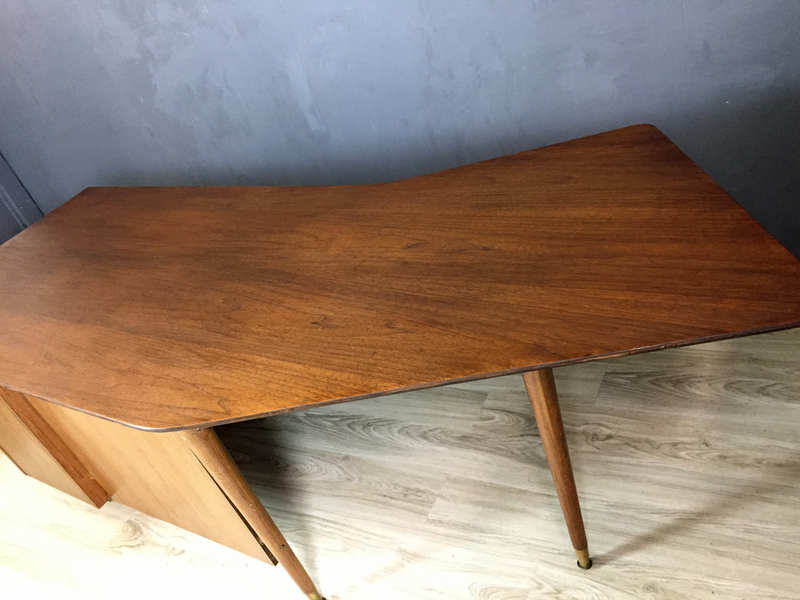 The top has been professionally restored to its original glory. 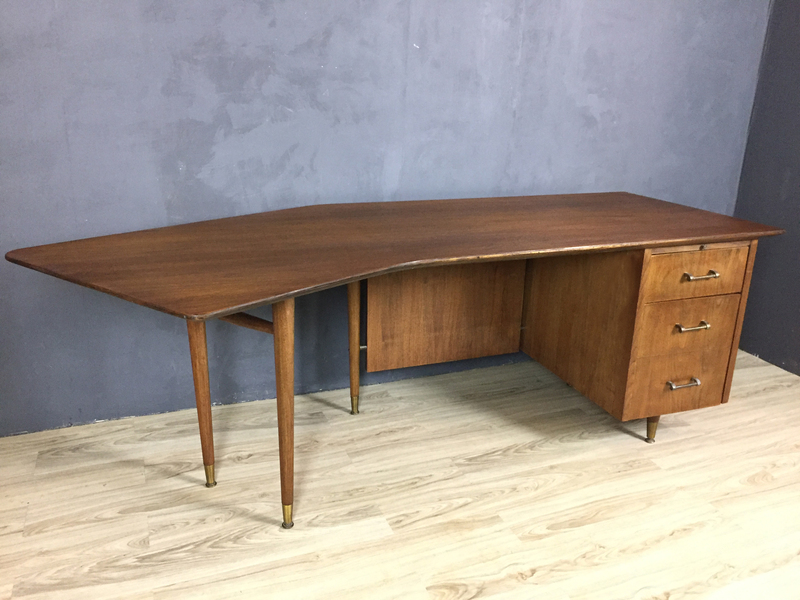 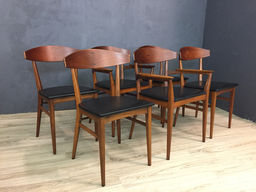 A stunner reminiscent of the gorgeous boomerang designed desk of Jean Prouve.